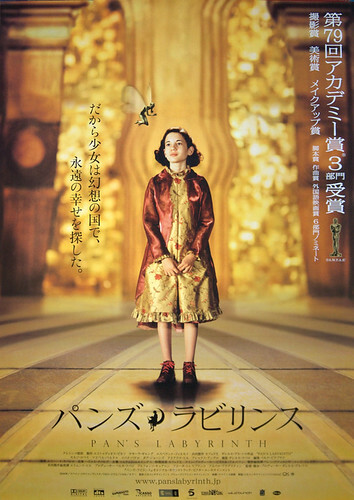 Pan’s Labyrinth Japanese movie poster (B1 size), originally uploaded by japanese-movie-posters. Here’s a tough one to get — the B1 size (~29″ x 40″) Japanese movie poster for Guillermo del Toro’s Pan’s Labyrinth. A great design only used in poster form in Japan.